Welcome to this celebration of nursing in the past. This site provides information about Memories of Nursing (MoN), an oral history project that is a collaboration between the Retired Nurses National Home (RNNH) and Bournemouth University (BU) supported financially by the Heritage Lottery Fund and with advice from the Dorset History Centre. This joint project originated in 2009 when a small group of nurse academics from Bournemouth University joined with a Trustee at RNNH to start to record some of the residents’ stories. The aim of the project was to produce rich and detailed accounts of “non-elite nurses who have no record of their lives in historical documents” (Beiderman 2001). The team wanted to capture stories from the professional lives of the group of ageing nurses, many who had memories of nursing before and during the Second World War and remembered the early days of the National Health Service. Oral history is considered a crucial methodology in capturing the past to explore the changes in health care practice (Boschma et al 2008). Therefore, having gained ethical approval, we began recording; in 2015 we were successfully funded by the Heritage Lottery and have now actively taken the project forward again. 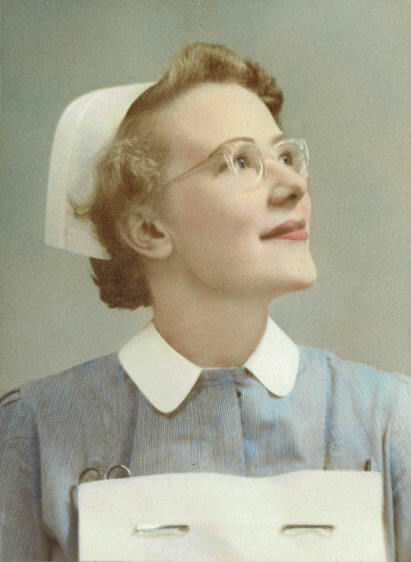 We hope you will take the opportunity to listen to clips from the interviews we have conducted that bring to life nursing in the mid twentieth century in the UK. In addition, we provide considerable information about the Retired Nurses National Home in Bournemouth, a unique organisation that has provided comfortable accommodation for retired nurses since the 1930s, a time when many nurses ended their careers without property or significant income. This includes a video made in the 1990s about the home as well as annual reports and details of landmark anniversary events. There is additional information about nursing/ education in the local area (Dorset and Salisbury) and generic background in a brief history of nursing and midwifery, a gallery of photographs of nursing from the past, a description of oral history research methodology and links to projects and organisations that will be on interest to those who care about the roots of nursing and its professional development over the centuries. A number of the photographs on the pages of this website are participants in the project who are happy to share images from their professional past. Boschma G, Scaia M, Bonifacio N & Roberts E (2008) Oral History Research. In: Capturing Nursing History: A guide to historical methods in research, Editors SB Lewenson and EK Herrmann. Springer, New York. Please select a category below to view the related archive content.